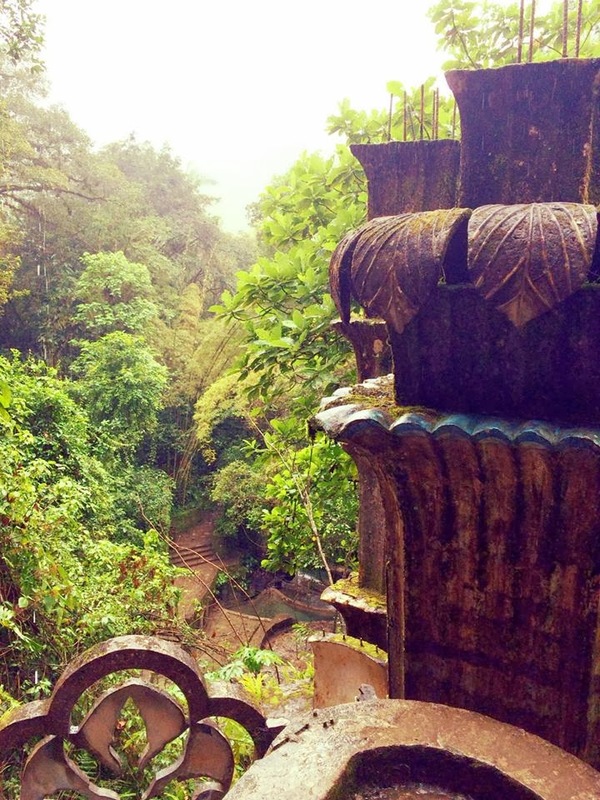 Someday Never Comes...: Greetings From Xilitla! I woke up in Tampico Thursday morning to the sound of rain. I thought to myself, "I'm in no rush, I'll go back to sleep and see if the rain subsides". That in and of itself was a good feeling and something that is taking some time to get accustomed to. Not having to be anywhere, at any given time. Not having to report to anyone or check-in. The delay also may have been caused by the number of MXP13 (USD$1) cervezas that I sipped the night before at the cantina next to the hotel. It really was a seedy place, and after some later reading on Tampico, probably not somewhere I should have been. I was less than a block away from my hotel, so I figured, if it 'hits the fan' I can just run and duck into my room. Alas, like usual, nothing happened (except for incredible people watching, interesting conversation, a number of smiles, and several cute chicas meandering about). Don't get me wrong, I am and will continue to be ultra vigilant, but I do feel the need to point out that the sensationalism about the dangers of Mexico has been, so far for me, unfounded at this point. When I did finally decide to roll out of bed it was still raining and the forecast showed that not only would it continue throughout the day, but throughout the next three days. 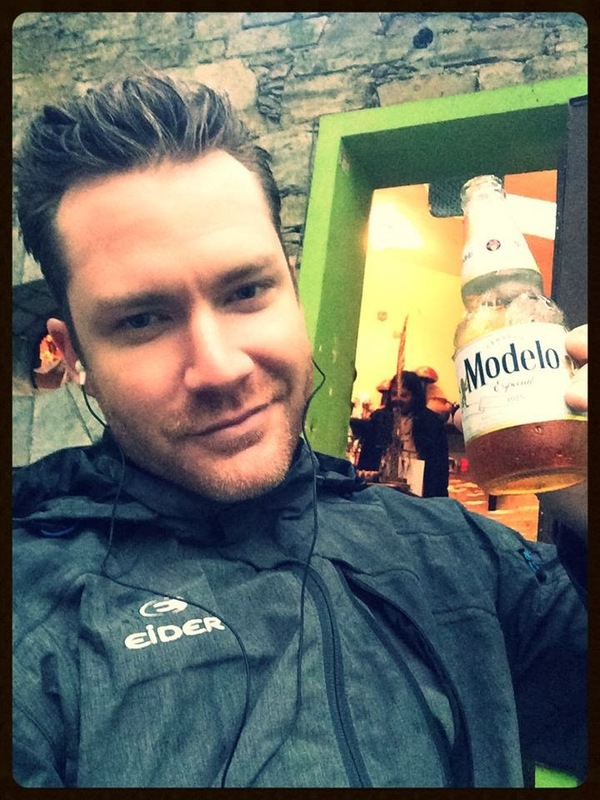 I must say, I wasn't excited to ride the 170'ish miles to Xilitla in the rain, but figured I'd just take it slow and steady. The ride ended up being absolutely exhilarating. The rain added an element that I'm not used to and kept a chill in the air that allowed me to be alert throughout the ride. I always loved road racing motorcycles in the rain, why would ADV travel be any different? The main thoroughfare roads have been nice so far in Mexico (topes aside). The first half of the trip to Xilitla had me traveling on two and four lane highway, but then eventually I ended up making my way up winding roads into the rainforest covered mountains. I stopped for coffee a couple of times as this region is known for it, and it did NOT disappoint. It was creamy, with an almost chocolate flavor. The perfect warm travel companion to stop and savor from time to time. I finally arrived in Xilitla around 3pm and made my way to the Hotel Hostal del Cafe (after reading a recommendation from ADVrider). The place looked amazing, with rooms trickling down the hillside. 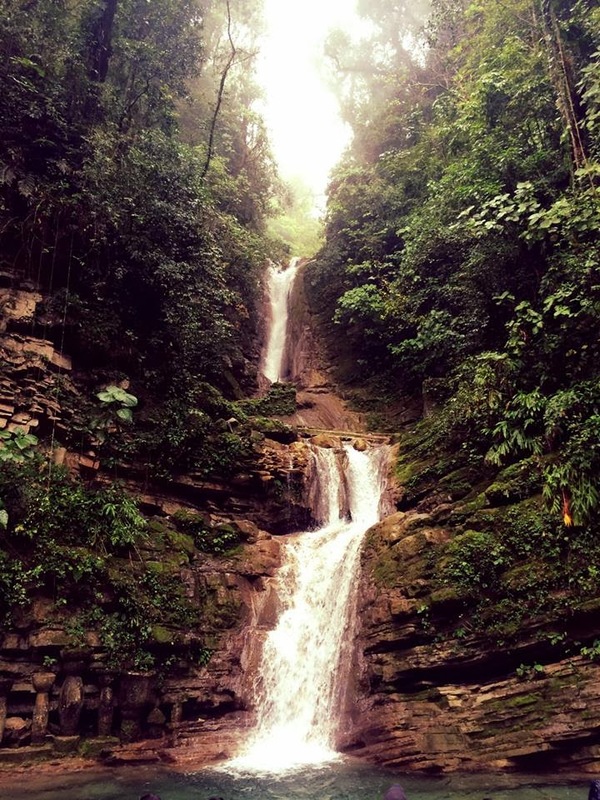 After the wet ride, and my epiphany that I can take it slow, I decided I would stay two nights in Xilitla. Hostal del Cafe only had a room for one night, so I ended up staying next door at Hotel Aurora. 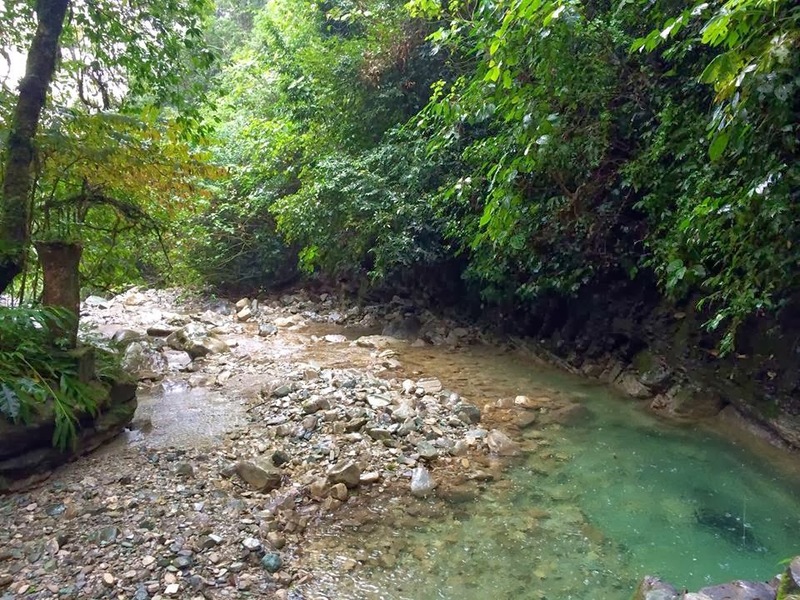 A good second option for those traveling through (note - I did see some rustic cabins on the way up to Las Pozas that were super cheap and would have stayed there had I known). After unloading the bike and showering, I decided to walk to the main plaza. This is a sleepy little city and there weren't that many people out and about. There is a nice bar/restaurant that I discovered called Casa Vieja that was a perfect place to eat and set up shop (I'd end up returning the second night as well). 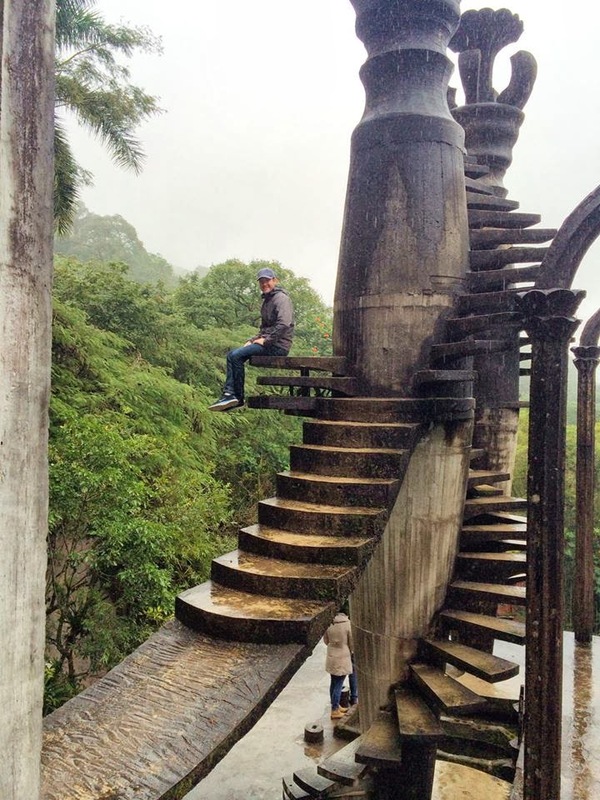 I had read about Las Pozas, which is a surreal sculpture art garden that I had to see. I went to sleep and decided I'd wake up early to check it out. I also wanted to see the Cave of the Green Parrots, but didn't end up making it due to the rain. This morning I had four things on 'the list'. Confirm the next two stops and accommodations, adjust/clean/lube my chain, replace the Touratech windscreen extension that fell off into my lap during the rain ride (lucky if fell that direction), and check out Las Pozas. I booked Hostal Alcatraz in San Miguel de Allende for two nights, then Hotel Carmen in Morelia for three to take me into the new year. After copious amounts of locally grown coffee, I performed the maintenance on the bike. 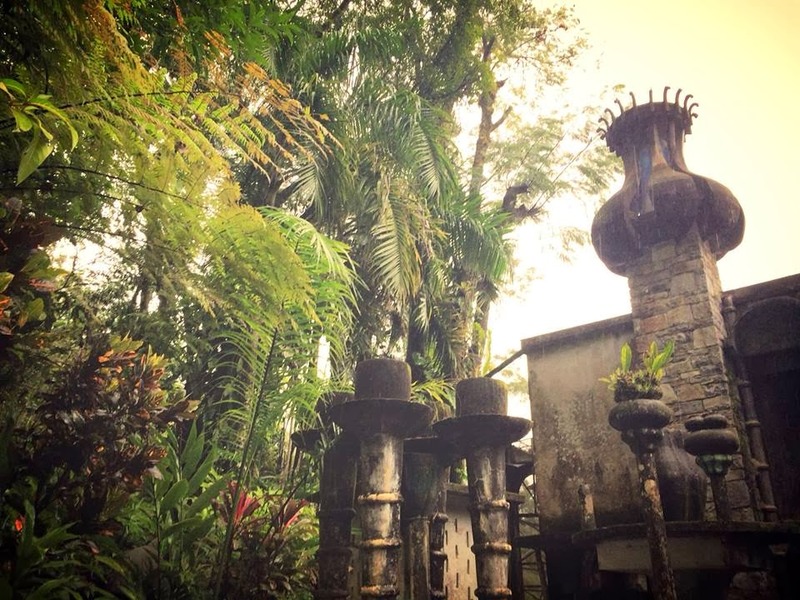 Then I set off to explore Las Pozas. 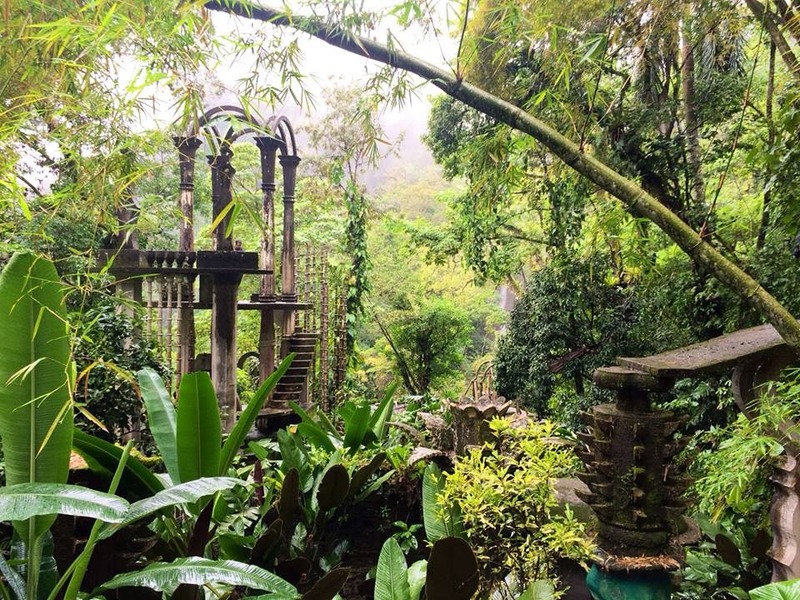 I hadn't even heard of Las Pozas until I started researching Xilitla, but am really glad I found it. Not only is the style of sculpture/art surreal by name, the entire thing is just that… surreal. It is hard to explain. 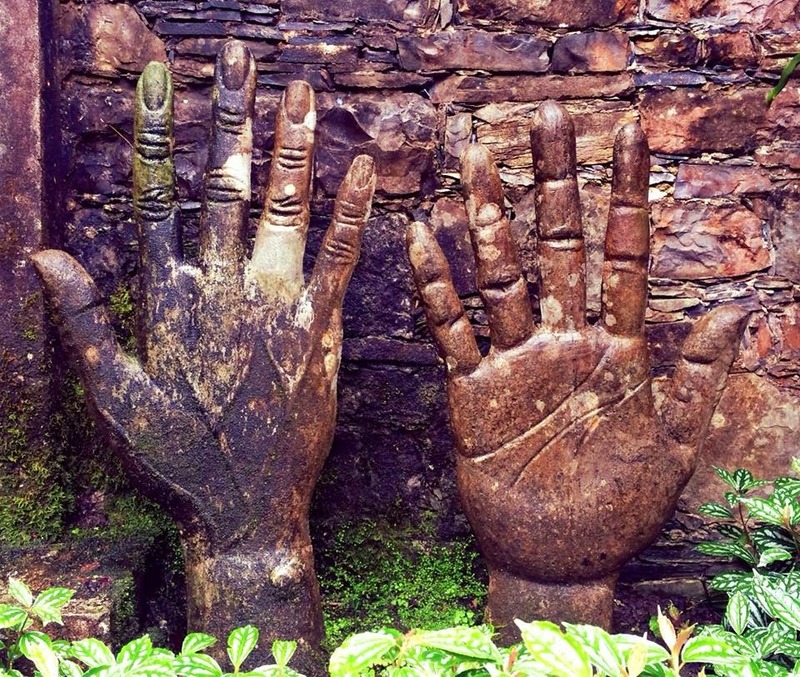 Imagine tons of massive sculptures built up into the rainforest hillside, with beautiful vegetation and flowers all around. To cap it off, there are several cascading waterfalls that are somehow incorporated into and around the garden itself. 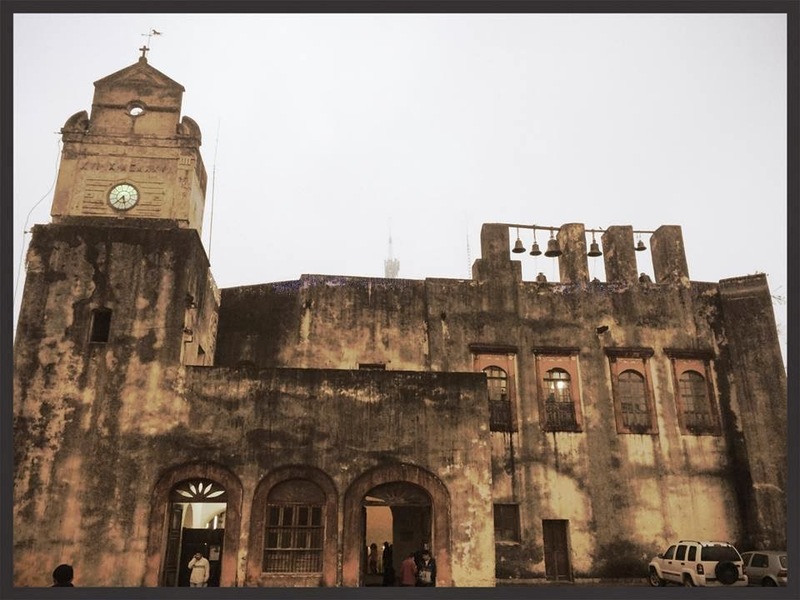 It really is a must see if you find yourself in the area. The water that flows through this region picks up mineral deposits along the way and creates an emerald color that is indescribable. 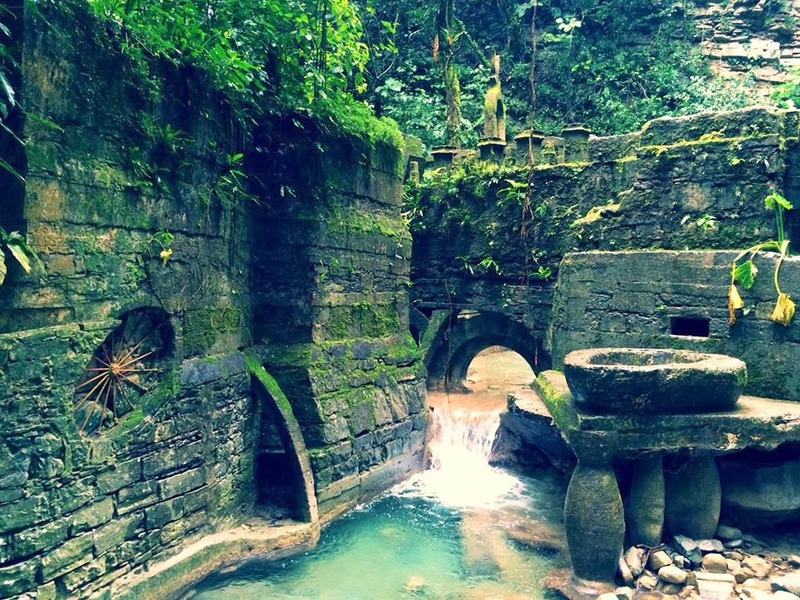 I'd also read that this place is best enjoyed sooner than later, as there is fear that this relatively undiscovered region and Las Pozas itself is starting to gain international fame drawing people (some say too many) from all over the map. However, I only saw two other gringos and ended up chatting them up. They were a nice newlywed couple from Latvia on a tour of Central America. 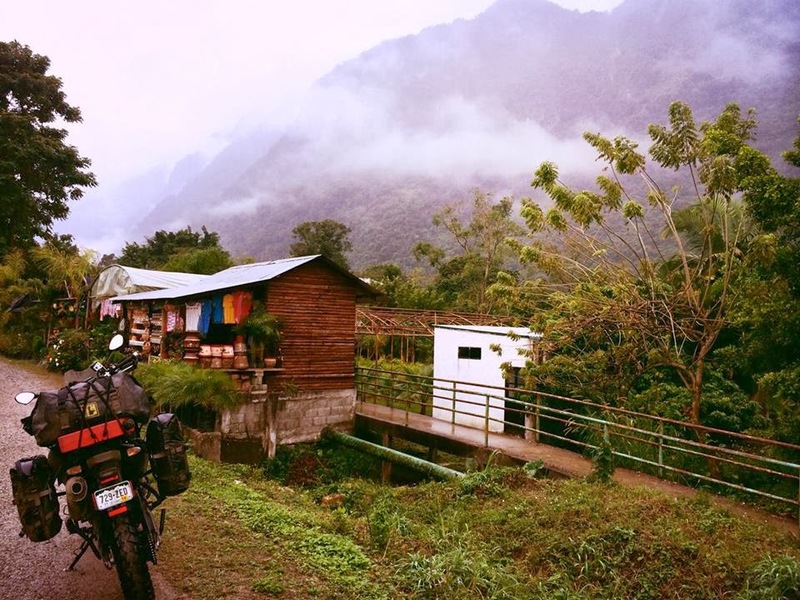 When I started the bike and left from Tampico in the rain I had a feeling that I'd be trudging along and miserable by the time I arrived in Xilitla. Turns out, somehow the opposite happened. Something clicked during the ride and during my stay here. I'm enjoying myself immensely and learning to go with the flow. I feel like my journey has really begun and I can't wait to see what unfolds from here. Buddhists believe that we live our everyday lives as if inside an eggshell. Just as an unhatched chicken has few clues about what life is truly like most of us are only vaguely aware of the greater world that surround us. "Excitement and depression, fortune and misfortune, pleasure and pain," wrote Dhammapada scholar Eknath Easwaran, "are storms in a tiny, private, shell-bound realm - which we take to be the whole of existence. Yet we can break out of this shell and enter a new world." Vagabonding is not Nirvana, of course, but the egg analogy can still apply. In leaving behind the routines and assumptions of home - in taking that first step into the world - you'll find yourself entering a much larger and less constrictive paradigm. In the planning stages of your travels, this notion might seem daunting. But once you take the plunge and set out on the road, you'll quickly find yourself giddy at how easy and thrilling it all is. Normal experiences (such as ordering food or taking a bus) will suddenly seem extraordinary and full of possibility. All the details of daily life that you ignored back home - the taste of a soft drink, the sound of a radio, the smell of the air - will suddenly seem rich and exotic. Food, fashions, and entertainment will prove delightfully quirky and shockingly cheap. In spite of all your preparation, you will invariably find yourself wanting to know more about the histories and cultures that envelop you. The subtle buzz of the unknown, initially a bit of a fright, will soon prove addictive: Simple trips to the market or the toilet can turn into adventures: simple conversations can lead to charming friendships. Life on the road, you'll soon discover, is far less complicated than what you knew back home - yet intriguingly more complex. "Travel in general, and vagabonding in particular produces and awesome density of experience," wrote Ed Buryn, "… a cramming together of incidents, impressions and life detail that is both stimulating and exhausting. So much new and different happens to you so frequently, just when you're most sensitive to it… You may be excited, bored, confused, desperate, and amazing all in the same happy day." If there's one key concept to remember amid the excitement of your first days on the road, it's this: Slow down. Just to underscore the importance of the concept, I'll state it again: SLOW… DOWN. For first-time vagabonders, this can be one of the hardest travel lessons to grasp, since it will seem that there are so many amazing sights and experiences to squeeze in. You must keep in mind, however, that the whole point of long-term travel is having the time to move deliberately through the world. Vagabonding is about not merely reallotting a portion of your life for travel but rediscovering the entire concept of time. At home, you're conditioned to get to the point and get things done, to favor goals and efficiency over moment-by-moment distinction. On the road, you learn to improvise your days, take a second look at everything you see, and not obsess over your schedule. Now, replace vagabonding for long-distance/long-term motorcycle travel, and I think it all applies. For now, I'm going to slam this laptop shut and slow down for a bit. A band just went on stage here at Casa Vieja and I'm going to enjoy the sights, smells, and sounds over a cerveza or two. Amazing! Thank you for sharing this part of your life! I am thoroughly enjoying reading about your journey and living vicariously through you! Your pictures are awesome and your writings make me feel like I am right there with you. I can't wait to see where we go next! Stay safe! Jennifer, thank you SO very much for the nice comment and donation! I hope you have a wonderful New Years Eve and 2014. Stay in touch.